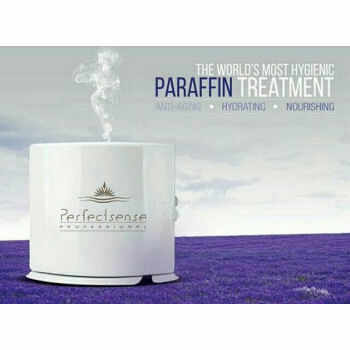 The PerfectSense is a revolutionary way to enjoy paraffin wax treatments. Hydrate, nourish and protect your skin and sooth your aching joints with a wonderfully relaxing and beneficial treatment, knowing that it is totally hygienic. The block of paraffin wax melts directly into the sealed single use slippers at the perfect temperature ready for immediate use. Medical Grade Paraffin wax has the ability to retain heat and transfer this into the foot and ankle, penetrating into the joints providing relief to arthritic joint aches and pains.